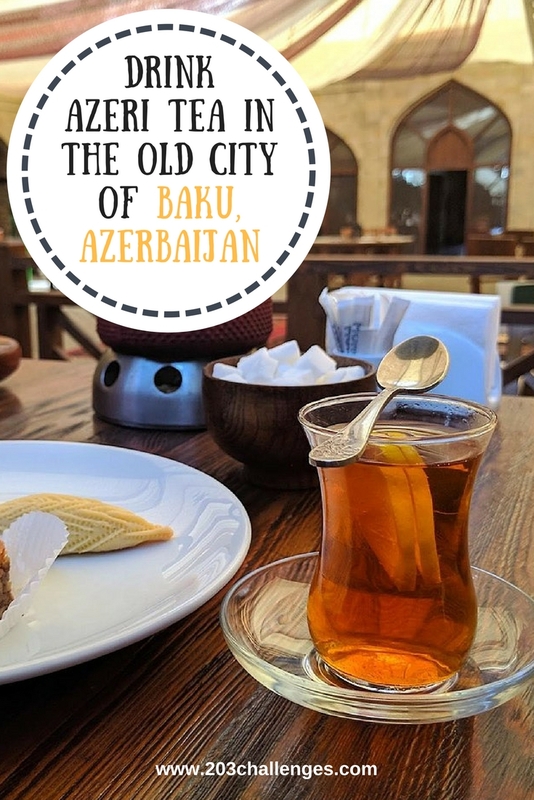 Discover the most unusual and memorable things to do in Baku, along with a few hidden gems revealed by Zornitsa, who currently lives in the city. 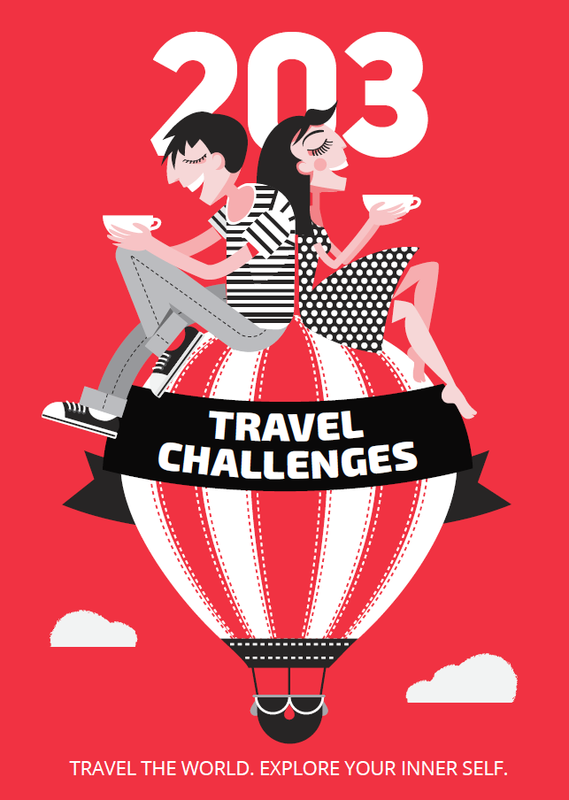 Here’s her list of 10 fun travel challenges that will turn your exploration of Baku – the capital of Azerbaijan – into an exciting game. Hire a bike from the Velopark (located right next to the National Flag Square) and enjoy a breathtaking ride along the Caspian Sea. If you want to experience the cityscape to the fullest, you might consider going for your ride at sunset. This way you will be able to marvel at the fascinating city lights and allow the pleasant sea breeze to blow all your worries away. 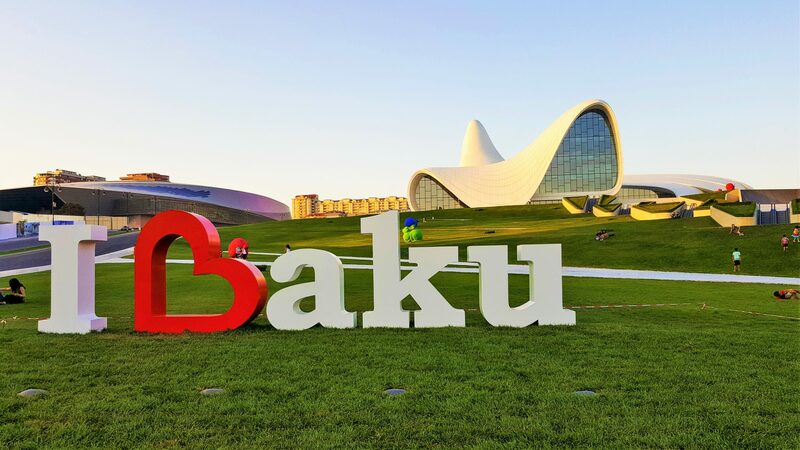 You can bike around the Crystal Hall (the building of Eurovision 2012), explore the National Flag Square and even make a full tour of the beautiful Baku Boulevard (which is 26 km long and also known as the National Park). You just can’t visit Azerbaijan and not taste traditional Azeri tea. While taking a walk in the Old City (İçərişəhər, pronounced Icheri Shekher), take the time to sit in one of the many cafes and restaurants and enjoy a refreshing cup of tea served in the traditional Azeri way (in special tea glasses, with lemon, sugar cubes, sweets, candies and jam). Book lovers can indulge in their hobby on a tiny scale at the Museum of Miniature Books. It’s a free private museum, located in the Old City, with more than 4,000 miniature books on display. It’s truly thrilling to see some of the world’s most famous classics in such small copies. Can you imagine reading a Dostoevsky novel with a magnifying glass? 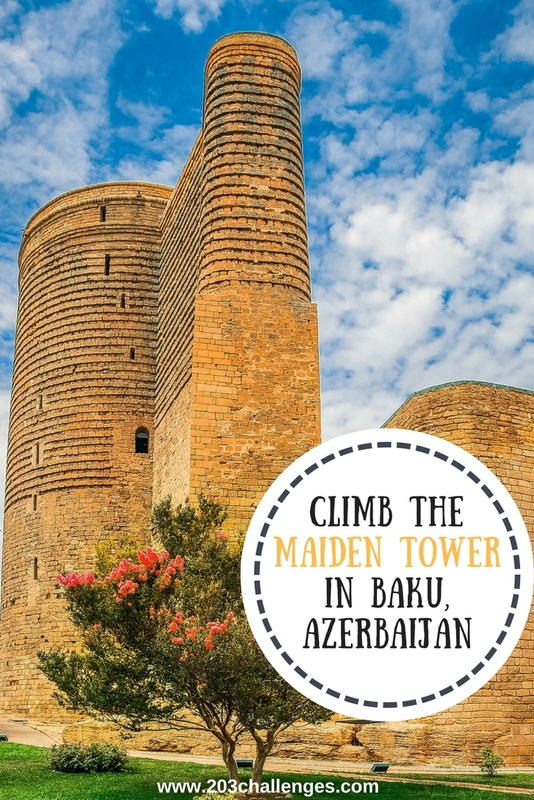 While you are still in the Old City, don’t miss the chance to visit one of the main sights of Azerbaijan and part of the UNESCO World Heritage List – The Maiden Tower. Buy a ticket and climb all the way to the top to enjoy a beautiful view over the city, see the tower from the inside and learn a lot about its history and creation. The tower’s biggest mystery is its original purpose, which remains unknown. If you’re looking for an unconventional shopping experience that will leave you stunned, Sederek is the place for you. To say that this is a huge shopping center would be a great understatement. Prepare to get literally lost amid the thousands of stands selling everything from household supplies to food, toys, automobile parts, decorations, souvenirs and pretty much anything else you can imagine. Prices are much lower than in the city, and even though at first glance it might seem like low-quality stuff, you can find some pretty good deals here. Sederek is located a bit outside the city (about 10 km away), but it’s worth the visit if you like thrilling bazaar adventures. Grab a taxi or try your luck with the local buses. I promise you – you will never forget this experience. 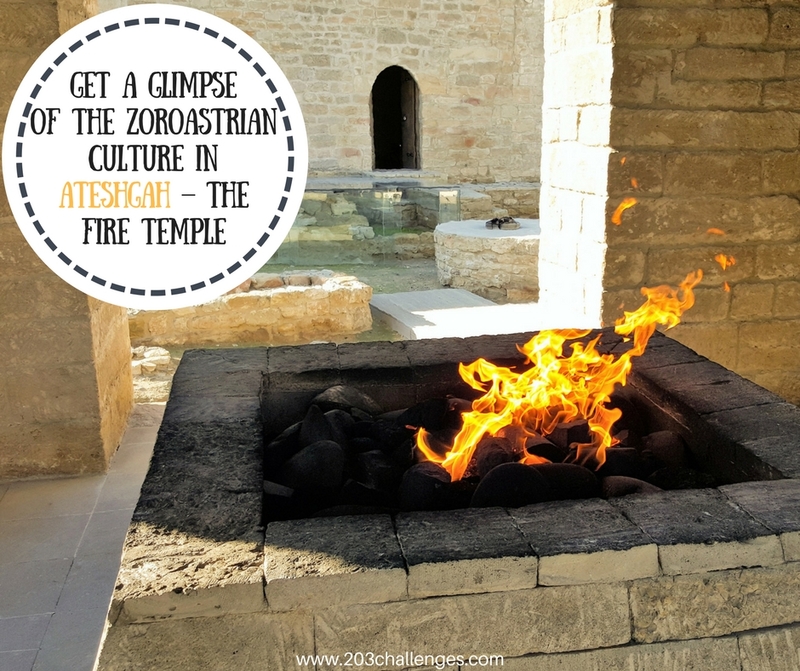 Get a glimpse of the Zoroastrian culture and feel the fires of the past in Ateshgah – The Fire Temple. Many people visiting the city skip this astounding place since it’s located far from the city center, but that’s their loss. The temple exudes a mystic atmosphere and serves as the perfect place to acquaint yourself with Zoroastrian beliefs and practices. After you’re done with the tour, you can enjoy a warm cup of delicious red lentil soup and a traditional Azeri kebab in the restaurant located right next door. 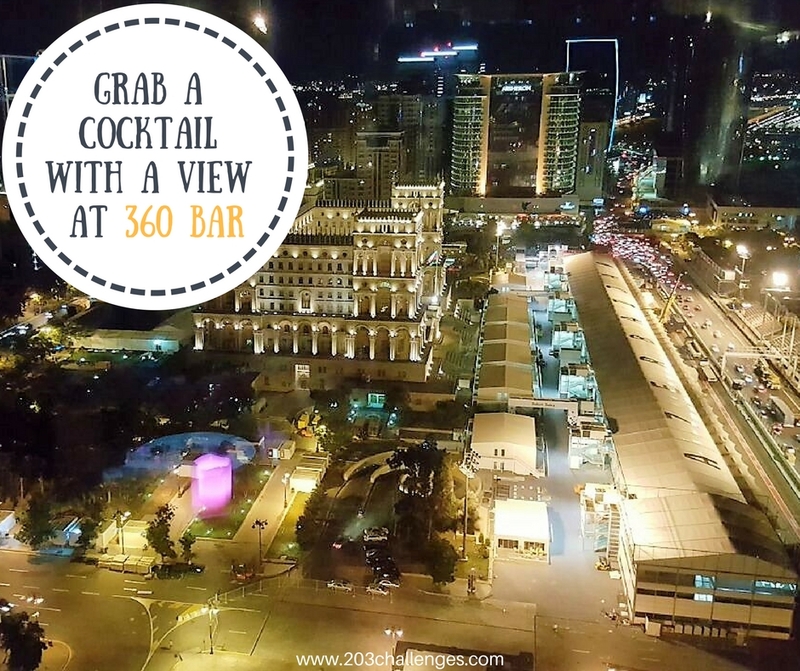 360 Bar is a rotating bar on the 25th floor of the Hilton Hotel, which is open for anyone who would like to enjoy a fantastic view while sipping a refreshing cocktail or indulging in delicious desserts. The view is stunning, to say the least, and the atmosphere is nice and relaxing. It’s worth visiting at night to enjoy a full panorama of the city lights. You can experience many things in Baku, but the feeling of being in Venice is perhaps one of the most unexpected. Sail on a gondola and spend some time admiring the beauty of the mini islands and bridges of the ‘Small Town of Venice’. This picturesque, clean area is located right next to the carpet museum and near the Caspian seashore. Mugam is a form musical composition specific to Azerbaijan. It’s very powerful, and in my opinion you should listen to it live to get a true feel for it. Records just don’t have the same atmosphere as live mugam performances do. While listening to a good mugam concert, you can feel the strong Azeri spirit of the musicians, their passion and unique cultural identity. You can buy tickets for a concert or just visit a national restaurant that offers live music. This is time-sensitive, but for the next few years, a Formula 1 race will be held in Baku (the dates for 2018 are April 27-29). 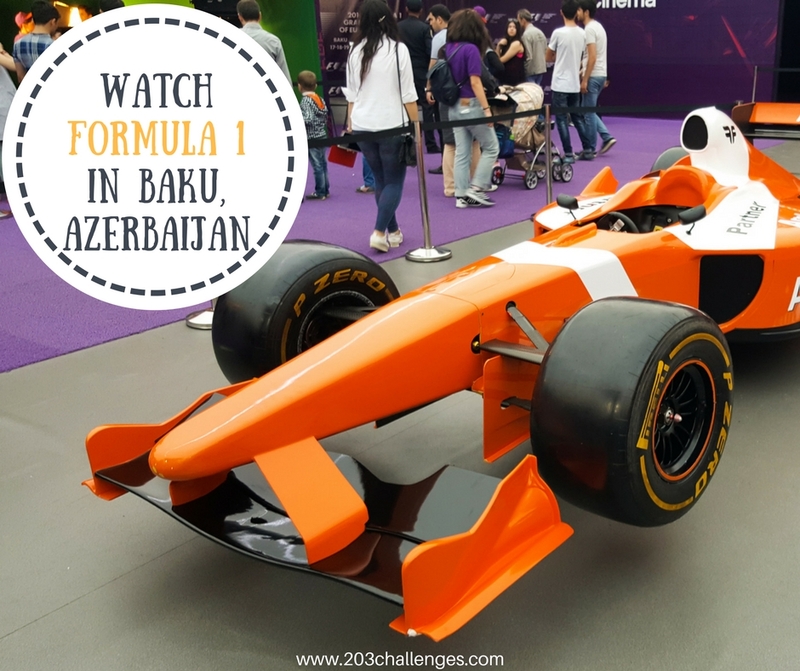 If you’re a Formula 1 fan, make sure you plan your trip to the capital of Azerbaijan during this time, so that you can get an even more thrilling experience by attending the Baku City Circuit Race. A range of different tickets give you access to various events and activities held throughout the city during the week of the Formula 1 race. Zornitsa Apostolova is a wife, mom and blogger currently living in Azerbaijan. Her blog Prepare to Visit aims to provide useful information to anyone traveling in the Caucasus, from useful tips and reviews to informative articles and beautiful pictures. Make sure you follow her on Facebook, Twitter and Instagram to receive the latest and greatest of her posts. So many cool experiences. Didn’t know about them at all. I wanna find the girl with the umbrella. Now I’m curious about the girl with the umbrella. Seems like there is a lot to do in this place. Love your post about Baku. I like to read about the places I’m not familiar with. What a fun challenge list!!! Getting a drink with a nice view is always a good idea! Azerbaijan is on my list for the longest time. Hopefully I’ll get the chance to visit it soon. Definitely look for the Maiden Tower. Looks very interesting. 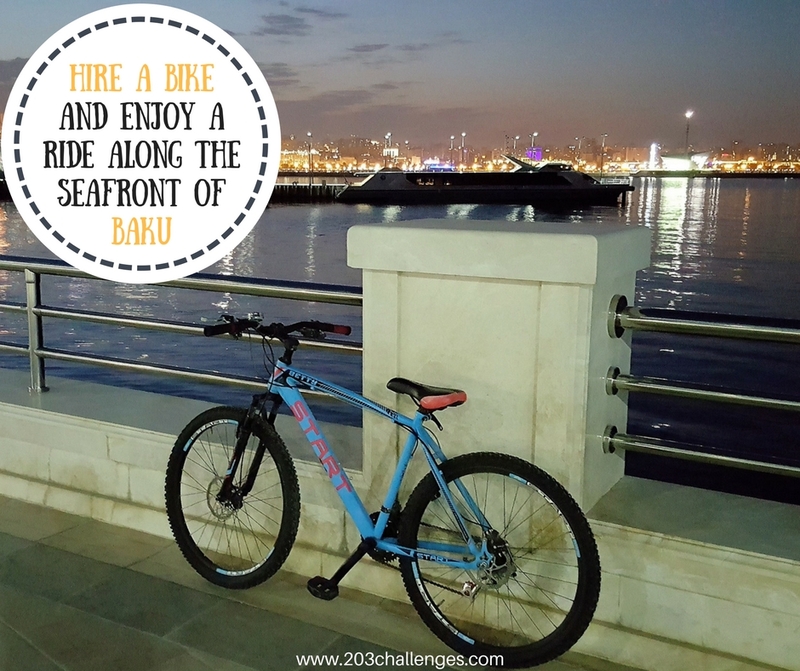 What a great list of challenges and things to do in Baku! I’m not familiar with the city or town but it looks like an awesome place to explore. Maiden Tower is cool. It’s my first time hearing Baku. But it’s totally amazing!